A huge perk to the second baby is that you sort of feel a whole lot less clueless than you did the first time around. Gone are the mile-long registry lists of things you insist your baby will need that you'll never use and, even better, you'll know what products work and what don't. 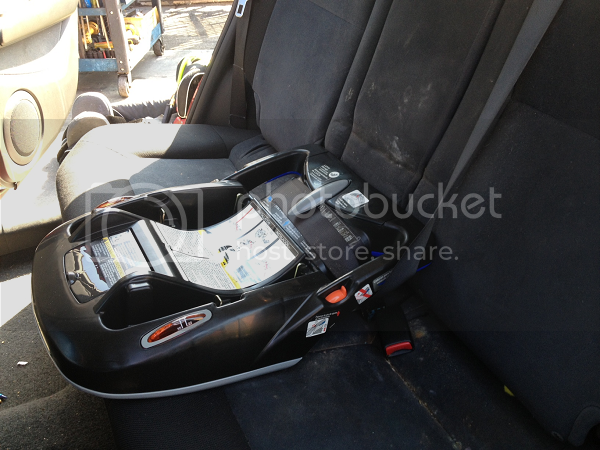 One of the big don'ts on my list was Ethan's infant car seat. It was clunky, it was heavy, it was bulky and, my goodness, he didn't like it very much. 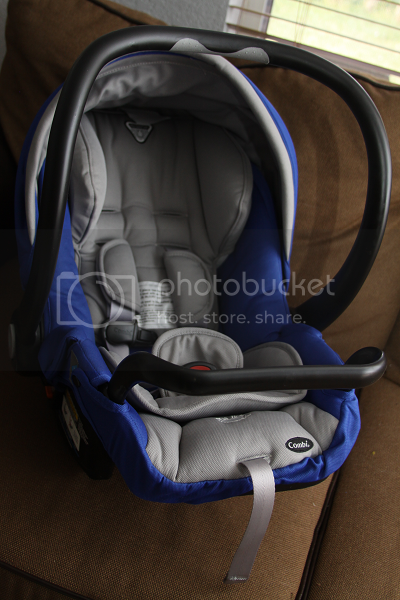 This go 'round, I wanted to do my research and explore other more lightweight infant car seats on the market. 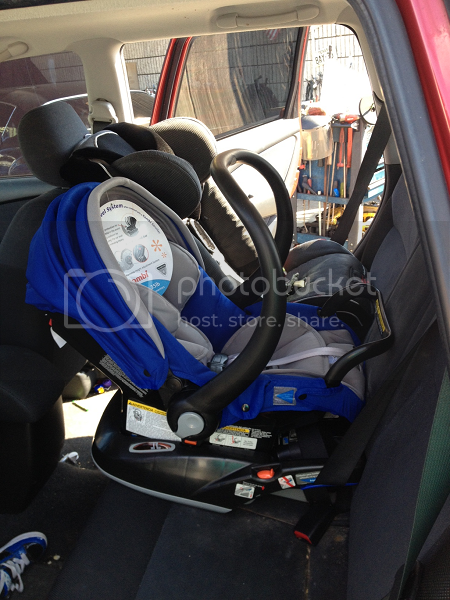 A compact seat was also a huge factor since now I would have two car seats rearfacing in my tiny backseat. The Combi Shuttle looked amazing -- too good to be true, even -- and I was excited to be able to try it out! I drive an older model Mitsubishi Outlander and was a little nervous at how difficult it would be to maneuver two rearfacing seats in my tiny back seat and really, really hoping I wouldn't lose the extra third passenger seat in the back. During the installation as the Shuttle was being installed, I couldn't believe how truly compact it was! Not only did it fit beautifully in the center next to Ethan's Radian, but I didn't lose that extra passenger seat. My 17 year old sister gladly tested the spot out on a trip to Carvel that afternoon. The Shuttle has a lot of great features worthy of discussing. I loved the recline adjustment feature. There is a clearly marked lever on the base that reclines the seat to four different positions. There are recline indicators on both sides so you're able to determine when the seat is properly reclined. 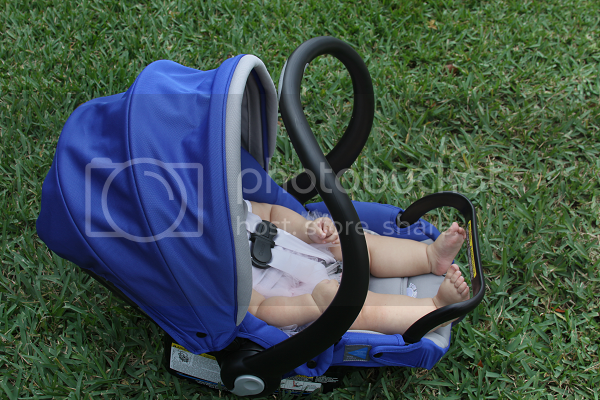 The anti-rebound bar is also a really cool feature unique to the Shuttle that helps stabilize the infant seat in the event of a collision. 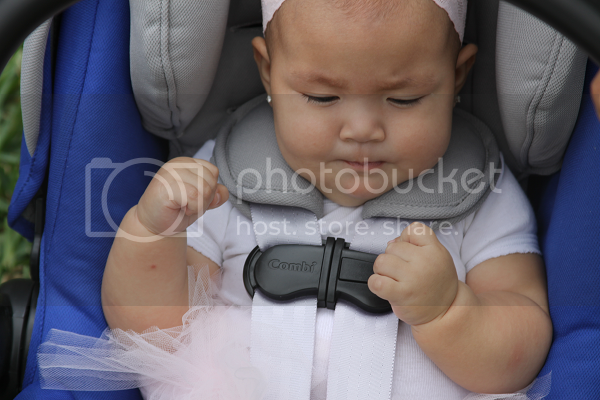 Since I am still pregnant and wanted to be able to get a real baby's opinion on the seat, let me introduce you to Baby Sophie. She is the baby sister of one of Ethan's best friends and was a great baby model for this review! 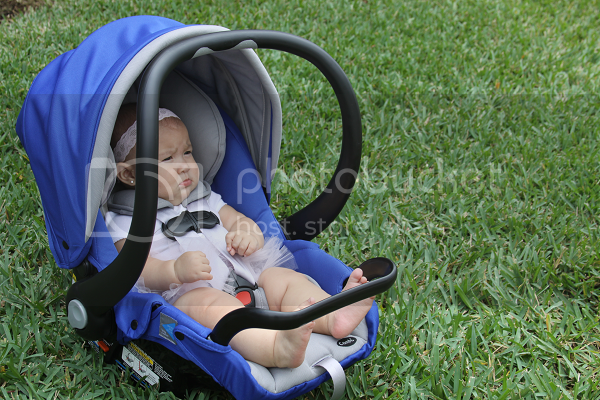 As Sophie is cutely modeling, the Combi is not only a gorgeous seat but it is very snug and comfortable. While color is obviously the least important feature of a car seat, I really loved all of the beautiful shades that the Shuttle came offered in. I couldn't resist this beautiful blue! The Shuttle overall is extremely user-friendly. 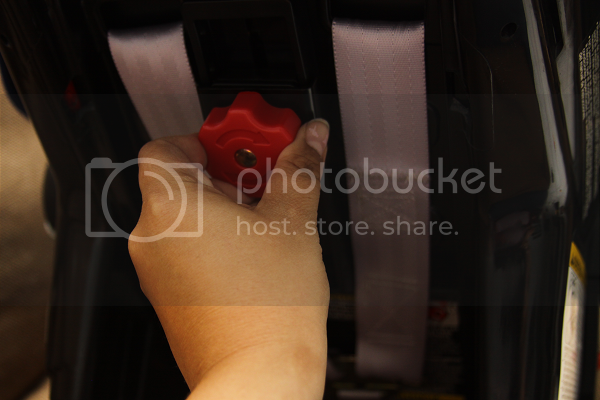 I also liked that there were only two slots for the seat straps, so you'll only have to rethread them once. Another favorite feature is the knob on the back that you can twist to move the head restraint to get that perfect fit and shoulder height! The Combi Shuttle has 360 degrees of protection with Combi's Tru-Safe Side Impact Protection and has a layer of energy absorbing foam to distribute forces away from the head, neck and spine of your little one. As the mom to a big kid (I'm currently stressed out over the fact he likely will hit the 45 pound rearfacing weight limit of his Radian before his third birthday), I really appreciate that the Combi Shuttle rearfaces up to 35 pounds and 33 inches tall. 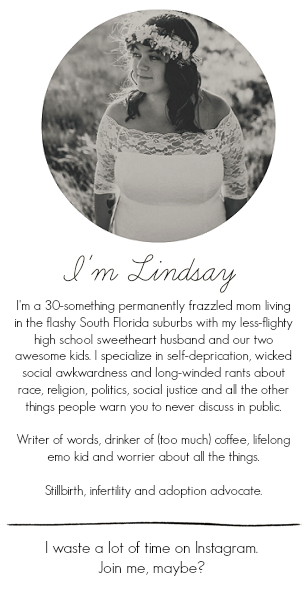 Eliminating the stress of race-against-the-growing-baby is always a plus. I also really like the ergonomic carry handle. I could easily tell a huge difference in carrying this seat versus Ethan's infant seat. The Shuttle only weighs 9.25 pounds without the base so it is very lightweight to begin with, which I appreciate! The carry handle is to stay in an upright position when driving which was another plus for my smaller backseat. 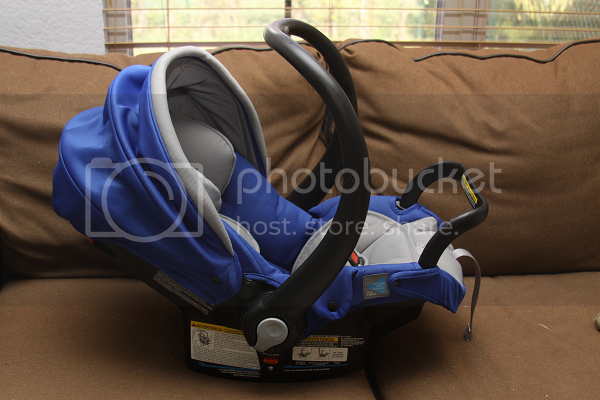 It also made it really easy to remove the seat and lock it in without causing any disruption to a baby who might be sleeping. I also love the canopy which is really big and provides great shade from the sun -- a must have here in Florida. The Shuttle also feels really secure when clicked into the base and is easily removed by lifting the lever on the back of the seat. 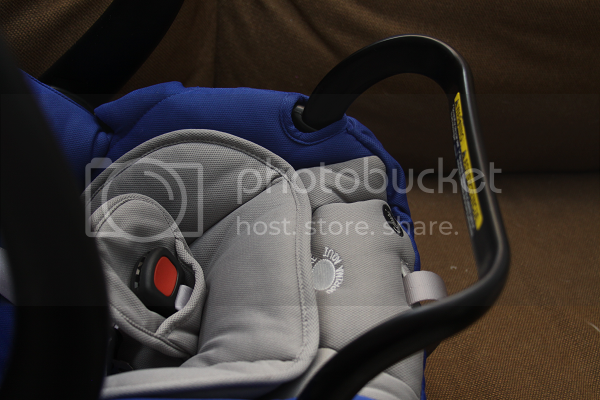 Other great features include the one-pull harness adjuster and built in lock-offs. There is also room for the instruction manual to be stored in the back of the seat for when it needs to be referenced. 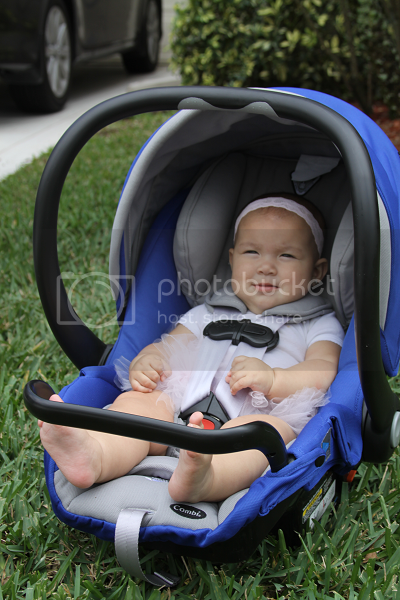 For those looking for a travel system, the Combi Shuttle also works with all Combi strollers to create a travel system! 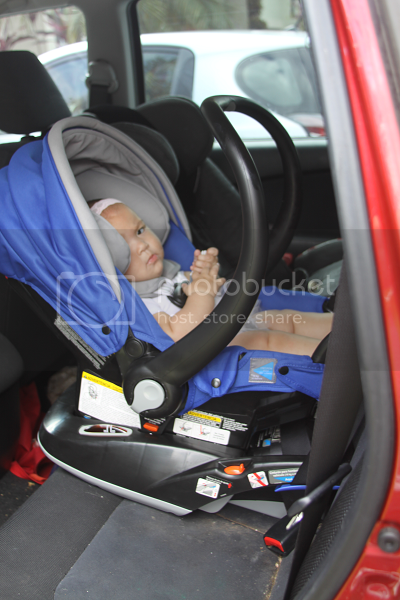 We are thrilled with the Combi Shuttle and it truly is a wonderful, lightweight and super safe infant car seat! It's always scary to think about bringing a new baby home but some of that anxiety has been relieved by knowing we can do so in the Shuttle! 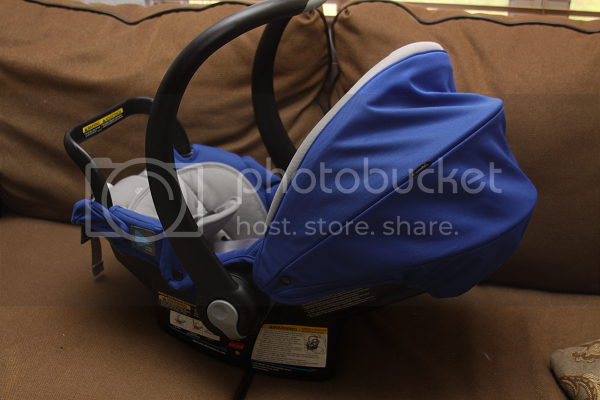 The Combi Shuttle retails for $179.99 and be purchased at your favorite baby retailers, including Babies 'R Us. For more information on the Shuttle and other great Combi products, visit Combi USA online and stay connected with them on Facebook!